Gunther Newcombe, operations director at the Oil and Gas Authority. A £20million programme of seismic surveys in the UK continental shelf will get under way within weeks, the energy industry’s regulator said today in Aberdeen. The programme − announced in the last Budget − is aimed at stoking North Sea drilling, which is currently at an all-time low. Gunther Newcombe, director of exploration and production at the Oil and Gas Authority (OGA), said the surveys would cover an expanse of 15,000 to 20,000 kilometres with data slated for release in the second quarter of 2016. 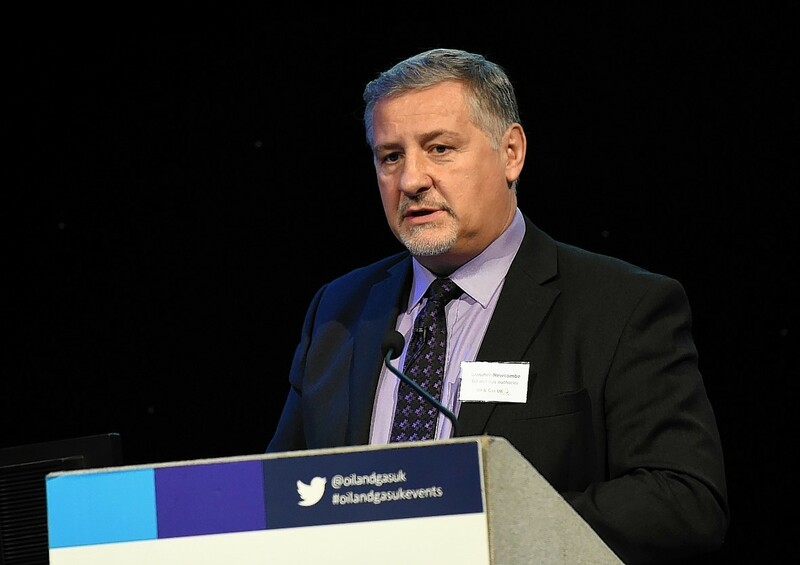 Speaking at and Oil and Gas UK (OGUK) event on the themes of collaboration and leadership in the sector, Mr Newcombe said the move was a great example of cooperation between the industry, the government and the watchdog. But Matt Betts, UK vice president at Halliburton, was less glowing in his assessment of the industry’s approach to collaboration. He used the allegory of the long spoons as a metaphor for the choice between whether or not to collaborate. According to the parable, people in hell who are forced to eat with long spoons are unable to lift food to their mouth and starve, whereas those in heaven learn to feed each other and thrive. Mr Betts said Halliburton had recently encountered “some very combative procurement behaviour” and was seeing consistent demands on unit pricing. He said the lowest unit price does not always mean both parties will get the best value. Companies are still feeding themselves with their own spoons in that regard, Mr Betts told the audience at the Aberdeen Exhibition and Conference Centre. Mr Betts also called for better management of equipment inventories to tackle what he described as the “we’ll keep it just in case” mentality. “A lot of stuff is just sitting there doing nothing, so we’re looking at that and approaching our customers and saying, he guys, it’s time to tidy the garage,” he said. Paul Goodfellow, Shell’s new upstream vice-president for the UK and Ireland, outlined his take on the keys to success in collaboration. Mr Goodfellow said companies should be proud of what they do well and be open about what they still need to learn. He also urged better links between the people who are tasked with implementing improvements and called for the creation of standard definitions to define what is meant by progress.